George William Nowadnick was a loving, devoted husband, father, grandfather, and great-grandfather who was born in Chehalis, Washington on May 21, 1930. His mom was a homemaker and his father was the owner of Quick Service Transfer, a delivery service in Chehalis. He was baptized and confirmed at St. John’s Lutheran Church. He was a student-athlete, graduating from Chehalis High School in 1948. George attended Pacific Lutheran College in Tacoma where he met a beautiful young woman on the steps of Harstad Hall the first month of their freshman year. Phyllis was 17 years old and quite taken by the handsome football player with “red” hair, dye from the inside of his helmet that managed to appear every time he played a game. They were inseparable and would remain inseparable for another 71 years. George and Phyllis married after their graduation from college and his discharge from the National Guard. Their first home was in Mossyrock where they began teaching careers. At the high school George taught science, including biology, history, typing, and economics. He was also the high school football, basketball, and baseball coach. In 1954 a son, Kurt, was born. In 1954 while coaching a basketball game, it was announced over the loud speaker that his second child, daughter Jill was born. Daughters Sara and Gail joined the family in 1961 and 1962. George and his young family moved to Issaquah in 1957. There he taught biology and coached football, basketball, and baseball. From 1961-68 he served as the high school’s vice principal and athletic director. In 1968 George accepted the position of principal at Snohomish High School where he became a highly regarded and well-respected leader, sharing his commitment to education and student achievement with all. After getting his superintendent’s credentials, he worked as the assistant superintendent overseeing several building projects, including new school construction and major site renovations. After retiring the first time in 1982, George went to work for the American Lutheran Church as Director of Personnel Services, assisting pastors and congregations during times of transitions. 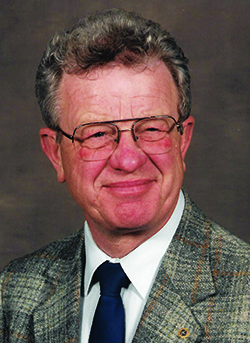 After retiring a second time in 1987, he went to work as the principal of Faith Lutheran School. After retiring a third time, he found his fishing pole. George learned to fish in Mossyrock. As Phyllis would say, “everyone fished in Mossyrock.” His time on the river would become a life-long joy shared with his children and grandchildren. Those not ready to don waders and join him, relished the treats on the end of his line. When not fishing, George could often be found in his garden, planting corn, harvesting berries, and gathering lettuce. He made sure Phyllis had apples and pears to can and crab apples to pickle. Blueberries were a treat and the mums were beautiful. George was a passionate advocate for schools, using leadership positions to speak out, speak up, and speak for education funding and teacher support. He served on the Snohomish School Board from 1993-1998, and while still a principal, he was a member and president of the Washington Association of Secondary School Principals. George and Phyllis were both active in their church and community, always finding ways to give back, to serve, to support and encourage others. They were founding members of the Lutheran church in Morton and Our Savior’s Lutheran in Issaquah. After moving to Snohomish, they became a beloved part of Christ the King Lutheran Church, serving year after year in one capacity after another, sharing their commitment to service with all. In the community George was active in Lions. He helped found the Snohomish Education Foundation. He served beside Phyllis at the community kitchen. He volunteered in the Special Offenders Unit of the Monroe reformatory. George led by example, loving generously and giving selflessly. He treasured family. He remained devoted to his wife, Phyllis from that first day at PLC to his very last day at Providence where he passed peacefully on Friday, April 19th surrounded by Phyllis, all four children, several grandchildren, and a daughter- and son-in-law. George is also survived by children, Kurt (and Deanna), Jill (and Bob), Sara (and David), and Gail (and Jerry), ten grandchildren, Kyle (and Katie), Kevin (and Manoela) Nowadnick, Eric (and Michelle) Tweedy, Brittany (and David) Gately, Sherry (and Alex) Tirdil, David and Michael Ferguson, Allison (and Chris) Odell, Alex (and Audrien) Danner, and Andy Danner, and almost four great-grandchildren, Enzo Nowadnick, Austin Nowadnick, Olivia Tirdil, and Baby Gately coming soon! A memorial service celebrating George’s life will be held on Saturday, April 27, 2019 at 1:00 p.m. at Christ the King Lutheran Church, 1305 Pine Avenue, Snohomish, WA 98290. In lieu of flowers, memorials may be made to Snohomish Education Foundation, P. O. Box 1312, Snohomish, WA 98291 or Christ the King Lutheran Church, 1305 Pine Avenue, Snohomish, WA 98290. 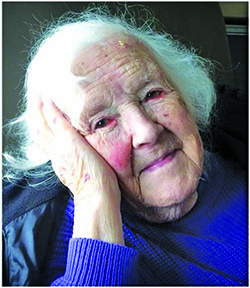 Barbara Bates, a Snohomish resident for almost 70 years, died February 3rd. It was a peaceful finale to a life so well-lived. Barbara had a huge heart and open arms that welcomed the lonely, friendless, newcomers, young and old. So many people entered the Bates’ home as strangers, but they all left as friends. Barbara’s embrace spanned generations and oceans. Barbara was born on March 29th, 1926 in Council Bluffs, Iowa to Raymond and Iva Smith. After graduating from Abraham Lincoln High School, she attended William Woods College in Fulton Missouri and graduated from the University of Nebraska with a degree in English. In 1947 Barbara moved to Pasco to live with her sister Ruth and her husband Robert Shepherd. She found work as society editor for the Tri-City Herald, where she shared a desk with the sports Editor, Bill Bates. A year later they were married. For 70 years, theirs was a marriage most perfect. Bill, Barbara and their infant son, Mac, moved to Snohomish in 1950 after Bill took a position at the Snohomish County Tribune. Barbara often recalled cresting Seattle Hill and seeing the Snohomish Valley for the first time. It was a rare fair day in May, the valley was lustrous green, and she fell in love. Barbara always claimed never to be bothered by the rain. Barbara’s first years in Snohomish were occupied with her infant children, which now included Stuart, Andrew and Lizabeth. 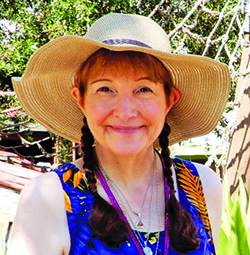 After the children entered school, and with Bill now editor and publisher of the Tribune, Barbara looked to make a difference in her community. She looked to St. John’s Episcopal Church. St. John’s became a second home for the Bates family. Barbara was a member of St. Catherine’s Guild and served on the vestry. In the early 1960s, her work in the church expanded to the Diocese of Olympia. In 1964, as a delegate to the National Convention of Church Women in St. Louis, she heard, and was forever changed by Martin Luther King, Jr’s electrifying keynote speech. Shortly thereafter, Barbara was elected presi-dent of the Diocese of Olympia Church Women and helped plan the Triennial Convention of the National Church Women in the fall of 1967. After the convention, she was invited by a delegate from Liberia, and a member of the national government, Mary Fiske, to speak to the Episcopal Church Women of Liberia. A woman of great faith, Barbara most certainly walked the walk. Her acts of kindness were a daily activity, done quietly. Barbara also served on the Snohomish Library Board and the planning commission in the late 1960s and early 1970s. During her tenure on the commission, the members wrestled with the future of downtown Snohomish. Barbara urged the commission to celebrate and preserve Snohomish’s historic past and avoid following the themed paths of Winthrop and Leavenworth. But Barbara will be remembered as the consummate host. On almost any day, one might find Barbara sitting with friends at her kitchen or dining room table, or out on the patio on a lazy summer afternoon. Her parties were legendary, whether celebrating a birth, a retirement, a farewell, a holiday or Beethoven’s birthday. In Barbara Bates’ home everyone felt special, felt loved, and felt safe. Barbara was preceded in death by her husband of 70 years, Bill, her parents Raymond and Iva Smith, her sister Ruth Shepherd, and her brother Raymond. She is survived by her four children Malcolm (Carol), Stuart (Barbara), Andrew (David), Lizabeth Farrell (Mark); nine grandchildren, Rosalie Bates, Isabella Bates, Evan Bates (Amy), Sara Bates, Hannah Farrell, Katie Farrell, Joseph Farrell, Emmy Farrell, Kristen Farrell and one great-grandchild, Redford Bates. Barbara is also survived by her brother Richard, sister Elizabeth and numerous nieces and nephews. Beloved grandfather, father to four, friend to so many, and a man of so much love. Please join us for his memorial at the Monroe Community Senior Center on February 9th from 1-3pm. There will be lots of photos, food, and a loving space to share your memories of him. 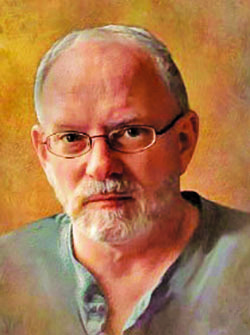 Dave Frederickson died September 15, 2018 at his home from a pulmonary embolism while recovering from brief illness. Dave was born June 8. 1959 in Everett Wa. and was a graduate of Snohomish High School. He is survived by his wife Wanda, daughter Justeen, son Mike, grandchildren Tanner, Jeremia, Mikayla and Brandon. He is also survived by brothers Bob and Ernest, and his Aunt Pat Tuengel as well as many cousins and friends who will miss him greatly. He served in the U.S. Army in Germany before returning to Everett, WA. Mike worked for the U.S. Postal Service in Everett. 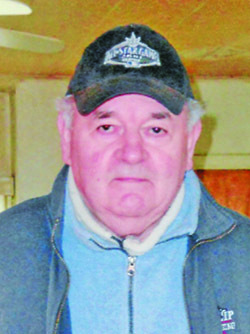 He was the letter carrier for the same route for 25 years where he acquired many beloved friends along his route until his retirement in 1992. 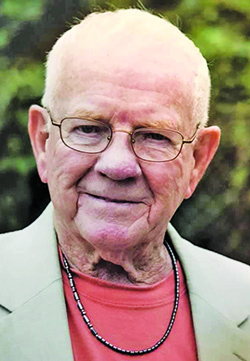 Mike enjoyed collecting antiques, reconnecting with friends at class reunions, Snohomish County history, attending coin club, trading tokesn and the love of his life was playing Keno. Mike leaves behind his cousins Luanne Ren, Jackie Hughes, Barbara and Bob Barnhart. He also leaves his best friend, Janet McCumber and his beloved Meow Cat; as well as many longtime friends and neighbors. Mary McMillan, 63, from Snohomish, WA passed away while abroad on December 6, 2018. She was born Mary Christine Caskey on December 28, 1954 in Yokosuka, Japan to Robert and Wilma (Davies) Caskey, with older sisters Jonanne & Mikki. She married her high school sweetheart, Daniel James McMillan, on August 4, 1972. Mary was a devoted wife and mother of 3, grandmother of 4, and great grandmother of 2. She was involved in the Christian Women’s Club in Skagit county during the 1980’s. Mary was active in the Society for Creative Anachronism for over 20 years (Baroness Meara Ferch Evan-Davies). She was a state certified home school teacher who volunteered for the Mukilteo School District. Mary was a long-time employee of First Heritage/Columbia Bank in Snohomish Washington. Her interests included calligraphy, genealogy, quilting, ceramics, reading (J.K Rowling), and was known for her love of Christmas. Mary loved her family, and devoted herself to being the best mother, sister, grandmother or friend she could be. She was known for her selfless nature and devotion to those she loved. She is survived by her sisters Jonanne Brown and Mikki Martin, her children Sean Michael McMillan (and wife Angela), Jered Matthew McMillan, and Laura Katherine Wilson (and husband Joseph). She was a loving grandmother to Raegan Danger McMillan, Daniel James McMillan II, Koll Ridley McMillan and Avanleigh Eris Erickson. She was blessed to be the great-grandmother of Silas James Tregoning and Brycen Gray McMillan. She was a loving aunt to Jennifer Brown, Melissa Martin, Ephraim Brown, Anna Brown, David Martin and Jedidiah Brown. She was preceded in death by parents, Robert and Wilma, her husband, Daniel, and nephew, P. Allen Brown. Services will be held at Hawthorne Funeral Home and Memorial Park, 1825 E. College Way in Mount Vernon, WA on Saturday, December 22, 2018. A viewing will be from 10a.m.-1p.m., with the funeral/placement ceremony at 1 p.m., and the memorial/wake to follow. Based on Mary’s love of Harry Potter and Christmas, it is encouraged to wear/accessorize something related to those items, as it would have made her smile to see it. In lieu of flowers, The Mary Mac Memorial Fund has been established at all Columbia Bank branches.